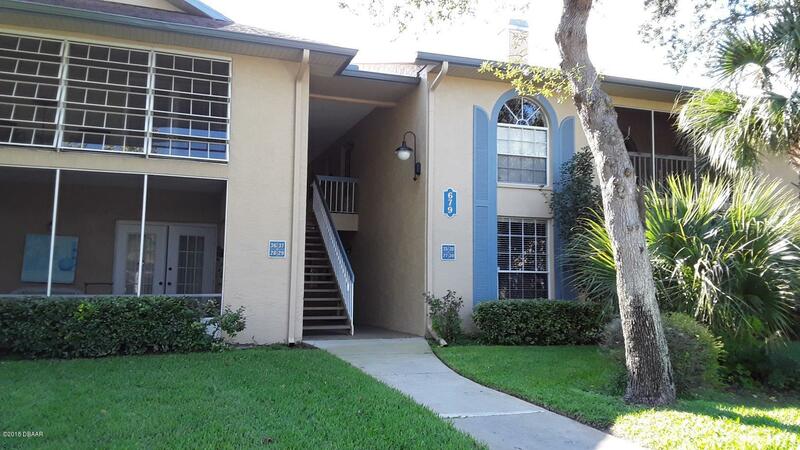 Condo complex in great location in the heart or Ormond Beach convenient to almost any services/shops desired. Location of this unit is the best; quiet & private w/ backyard of rrees; beautiful view from balcony.One bedroom, one bath, high ceilings, lots of light & privacy. Tenant in place until April; excellent opportunity for investor. Galley kitchen all appliances included; open to dining area dn living room; French doors to balcony off LR. Unique clubhouse w/ pool & tennis. Low maintenance fees with lots of convenience inncluded. Property Listed by: Albert M. Esposito & Associates Inc.
Based on information from the DABMLS from 2019-02-15 08:34:30. DABMLS and their affiliates provide the MLS and all content therein "AS IS" and without any warranty, express or implied. Data maintained by the DABMLS may not reflect all real estate activity in the market.